The popularity of the Discovery Channel’s Shark Week is testament to the fascination we hold for this remarkable predator. That curiosity is further fostered by this graphic novel that beautifully blends art and science. 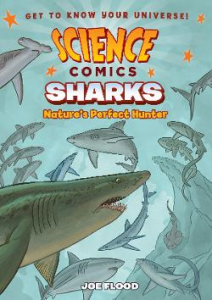 Readers who gravitate toward animal-based nonfiction will be hooked by this intriguing graphic novel. Peyton Rios is no wimp. She’s endured the loss of her father, and still she’s on track for a soccer scholarship to her top pick university. All that comes crashing down when she catches her boyfriend doping. In an argument that turns physical, Reed (the boyfriend) shoves Peyton down a flight of stairs and seriously injures her knee. The abuse is shocking, but not nearly as shocking as what follows. Reed manages to skate on the accusation of doping, but Peyton knows that the shove wasn’t just an accident. 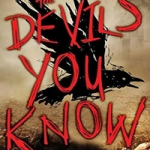 Before long, she finds herself the target of Reed’s increasingly intimidating stalking behavior and the odium of a community that is lining up to defend him. A change of scenery is just what she needs to heal physically and emotionally. What she doesn’t need is a new boyfriend, and yet, that’s exactly what finds her. Peyton is a strong female character, but it’s important for teen readers to know that strong people are equally at risk for victimization. Broken Beautiful Hearts is pretty predictable, but predictability is kind of like a broken in pair of favorite jeans: you know what you’re getting and love it anyway. 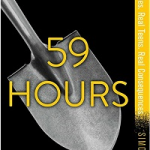 The plot of this book is no different. It’s the familiar trope of a girl falling for the bad boy and rescuing him from himself. In this case, the bad boys of this tale are into Mixed Martial Arts, which is a draw all its own. 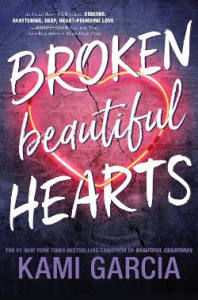 Broken Beautiful Hearts is likely to appeal to fans of Garcia’s The Lovely Reckless or Allison Van Diepen’s Snitch. Readers who liked the memoir My Fight, Your Fight by female MMA fighter, Ronda Rousey, would also relish this action packed romance. Twinkle Mehra is given an unexpected gift when fellow film geek Sahil Roy wants to make a movie with her. Twinkle will direct and Sahil will produce the film for their school’s upcoming Midsummer Night art festival. All of this is perfect for Twinkle. She will finally get the chance to direct a movie that people will actually see; and just maybe she will be able to get closer to Sahil’s twin brother Neil, her longtime crush. 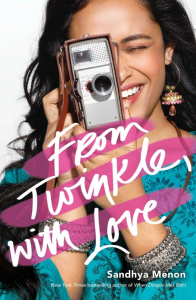 All of this gets a little a complicated when Twinkle receives an e-mail from a secret admirer who only goes by “N.” Twinkle must now decide whether to let herself fall for the adorkable Sahil, or hold out hope that maybe, just maybe her secret admirer is Neil. This is a great pick for readers who enjoy contemporary romance with diverse characters. 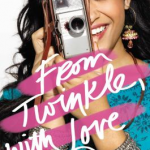 The format of the book is also intriguing as the book is composed of letters that Twinkle writes to female filmmakers she admires, as well as text messages and blog posts written by Sahil. The pacing of this book flows nicely as the plot progresses through Twinkle’s journey making her first movie, her changing friendship with her best friend Maddie, and her love triangle with her crushes on Sahil and Neil. This book is funny, with sweet romance and complicated friendships. 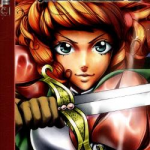 Teens will relate to Twinkle as she decides how to choose what is best for her in romance and friendships while also attempting to achieve her dreams and be truly herself. Those who have enjoyed American Panda by Gloria Chao, The Sun is Also a Star by Nicola Yoon, and Emergency Contact by Mary H.K. Choi will enjoy the fun romantic plot of this book. This would also be great for teens who have enjoyed YA romance movies Love, Simon and Everything, Everything.